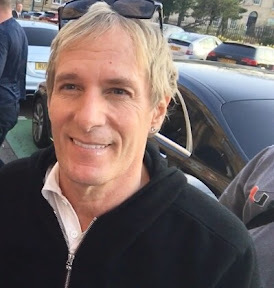 MICHAEL Bolton arrived in Glasgow and proved he was dynamite with his personalised plate. The singer is due to play The Glasgow Clyde Auditorium tonight and made sure he arrived extra early to take in the city before his big date. 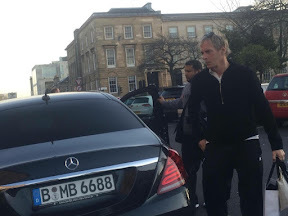 Michael arrived at the Blytheswood hotel in style - in what appeared to be his own German plated chauffeur driven Mercedes car with the private plate BoMB. He stopped to say hello to The Showbiz Lion saying he was thrilled to be back in Glasgow and later paid tribute to Prince saying: "The true Visionary. Honored to have known him. The world will hold him in highest esteem next to anyone in the history of Music." Grammy award winner Michael has been getting rave reviews for his tour which will see him sing hits like How Am I Supposed To Live Without You as well as covers including Frank Sinatra’s That’s Life and Otis Redding’s classic Sittin’ On The Dock Of The Bay.